This blog has moved! Click here for the new blog. I've got all three Pattern Magic books, and I'd really like to use them. Which is why I started Project Pattern Magic: one magic pattern every month. I'll choose 4 projects from each book and post about them on the last wednesday of every month. Some of the patterns will be wearable, but the last one from each book will be the most complicated, challenging, intruiging or whacky pattern in the book. I.e., not necessarily wearable :) Below is the first one, drawn on half scale just for fun. Can you guess what it'll be? Ofcourse it would be really awesome if anyone would join me for this project. So if you didn't already have a 2013 project, this is your chance :) I understand if it is too big or too short of notice or too expensive to get all the books, I just thought that I'd mention that doing this together would be even more fun! You could always join me for one of the months, or use patterns from one book only if you like. If so, let me know! Great idea Lisa. Of course I'm joining, perhaps on a quarterly rather than monthly basis!! I'm really looking forward to seeing what you're going to make and hopefully I'll be learning a thing or two too! P.S. Thanks for enabling the name/url profile; much easier to keep in touch now! Yay! I'm curious to see what you'll be making. Will you go for whacky or wearable? I'm in the suburbs and therefore consider it my duty to make the whacky wearable (there are a few of us....). Shame it's so cold as we're all buried under layers... but this is the challenge I need to kickstart my sluggish creativity. Lovely button, by the way. Cool! Contact me if you have questions, or have pics to share. I'll let you know what I'll be making next month when I finish this months'. Great idea, maybe i'm joining, I just have to buy the books. And take the time to do it. I have tryed some of it, for som time ago, when it was only on japanese. Nice! With each post, I'll be announcing the next pattern I make and the due date, so that way you can decide if you'll join. I have one of those books and I've never made anything with it. Possibly because I have the version that's in Japanese. I really need to learn to wait for the English translation. I'll definitely be following you to see what you make! This is fantastic! Marianna from Sew2pro told me about your project. I challenged myself to do a few pieces from PM Stretch using my own knit fabrics, but so far I've only done Crushed Can -- as a hat/cowl! I'll definitely participate when I can. This is just what I need to forge ahead! Such a great idea! I don`t think I can keep up with one a month, but I`m really looking forward to see what you will make! I'd like to join in, not sure I'll be able to join every month, but I'll try to, as drawing my own patterns is my favorite sewing activity at the moment. So I'll carefully check your blog! Oh no - I've only just found this project so I've missed Jan and Feb. I'm such a slowcoach I don't think I'll manage one a month but I'll try to add a few over the year. Looking forward to seeing all 12 of your wonderful creations! Cool! Let me know when you do, love to see what you make! I'm late but count me in! 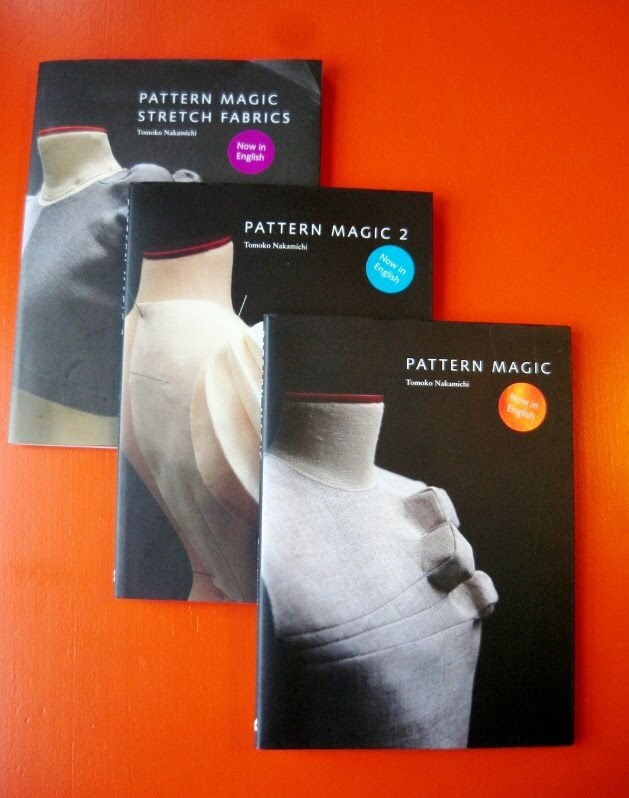 I have all three Pattern Magic books - and Drape Drape too - and have only used them for one pattern. Poor effort. This should give me the poke I need! I'd love to hear your thoughts, whether it's positive or constructive critisicm! If you're commenting on an old post I'll have to moderate it, so don't worry if it doesn't immediately show. Thanks! Hi there! I started this blog to document my make-don't-buy pledge 4 years ago. 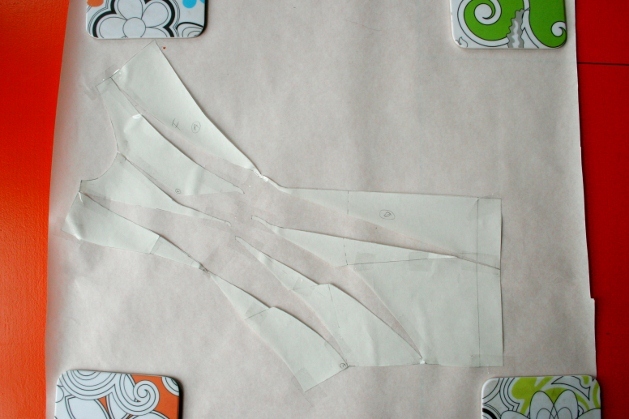 Right now, I've started designing patterns. I hope you enjoy reading this blog, I'd love to hear from you! You can reach me at hello[at]paprikapatterns[dot]com.